This course aims to understand social movements in the age of globalization. Social movements are collective attempts to modify institutions, reform (or overthrow) governments, transform political-economic relationships, and change the way people live. In recent decades social movements in different parts of the world have received great attention and expressed widespread political desires and frustrations, but they have also prompted questions about their effectiveness and organization. The first part of the course will examine history and theory of social movements. A key throughline of this course is to see movement organizers as ‘scholar-activists’ who create knowledge and theories about their own movements. This movement-generated theory can be more relevant and useful for understanding contemporary movements than the theories generated by academics who position themselves outside of movements. The second part of the course examines particular social movements, highlighting the perspectives of movement organizers. 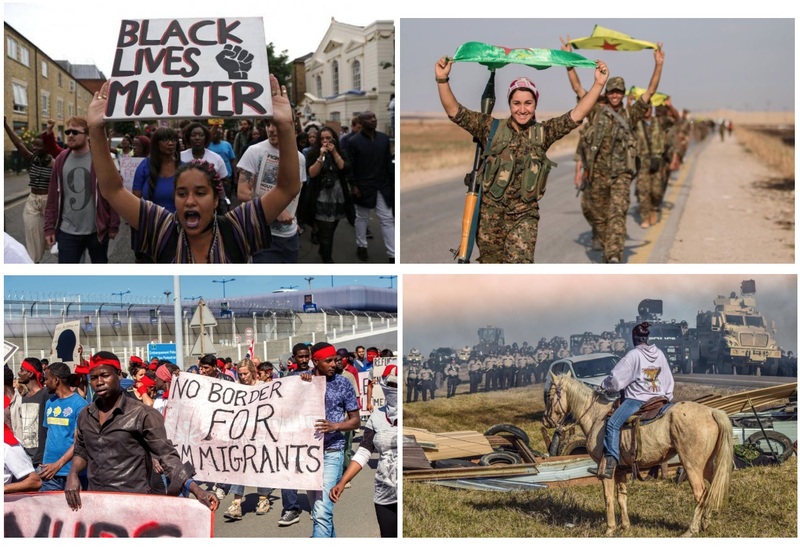 We will study recent movements, such as the Movement for Black Lives, ‘no borders’ and migrant justice, decolonization and Indigenous resurgence, the Rojava revolution, feminism, Dalit movements, anti- and alter-globalization, among others. The third part of the course engages approaches to research with social movements that centers knowledge created in movements themselves. We particularly focus on ways to use mapping and counter-cartography as research methods. The final part of the course is for students to work in small groups to create a research project–incorporating web-based and mapping components–that presents an exhibit about a particular movement.